I have used a paddlebiner for many years. I carry it on deck where it is ready to help in any emergency. What is a paddlebiner you ask? 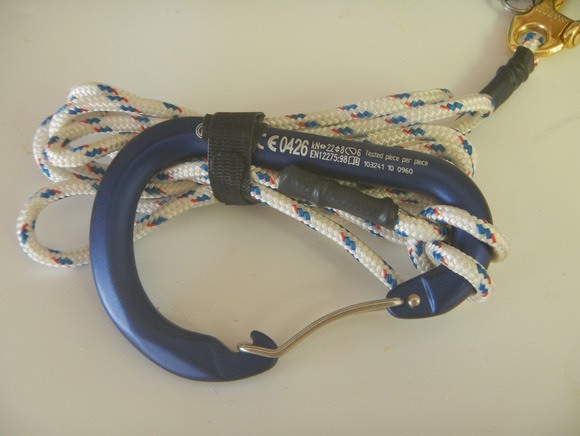 A paddle binder is an oversized carabiner big enough to clasp a kayak paddle shaft. Attached to the paddlebiner is a length of 3/8 inch line, about ten feet in length. At the other end is a hook to connect it to your deck. 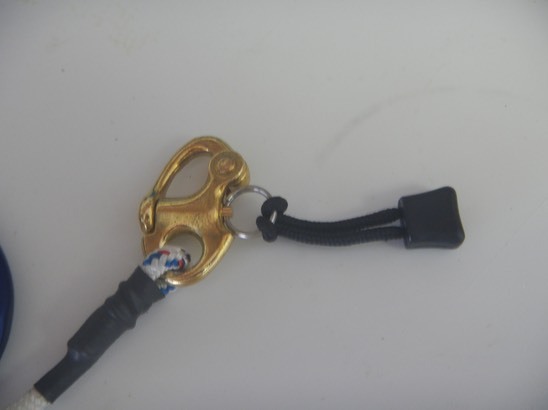 I use a pelican hook because it can be released under pressure with one quick pull. In a capsize and wet exit, grab the paddlebiner and clip on to your paddle. Your paddle will be safely attached to your boat, ready to retrieve when needed. 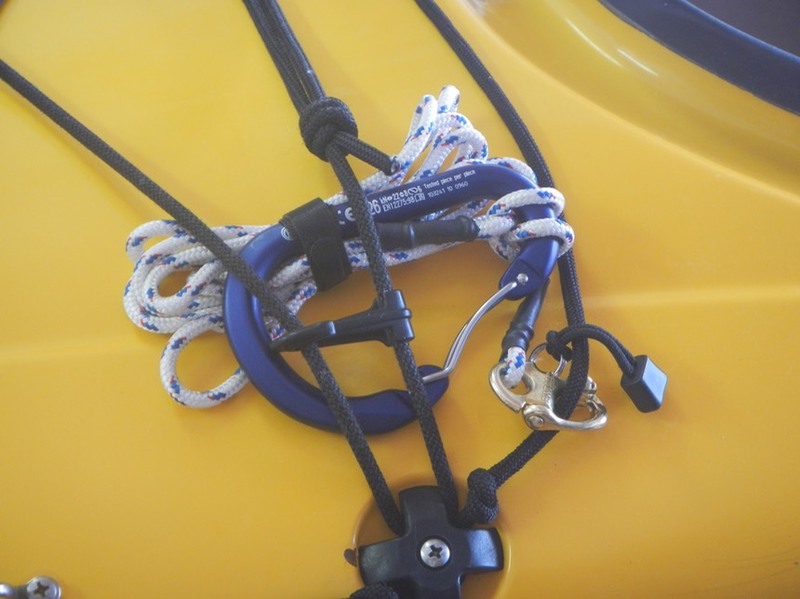 Or clip onto another boat for a short tow to safety. When rafting up for a lunch break on the water, use the paddlebiner to hold one or more boats together. Or clip onto a tree branch near shore to take a break. It's a very useful tool. 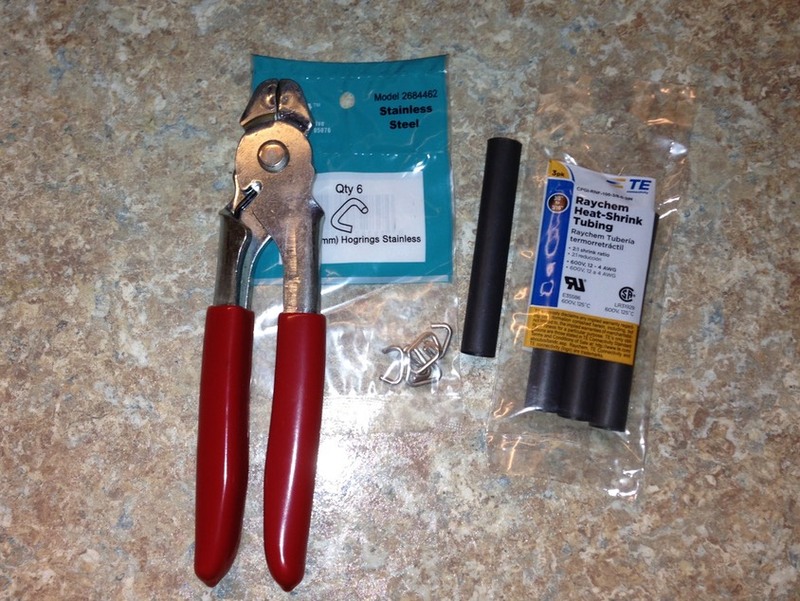 Here's how you can make one yourself (see video).